Pura Tirta Empul Tampak Siring, besides being a place of worship for Hindus, is also used as one of the tourist attractions in Bali. There is also a sacred bath that is believed to be a place to melukat (cleanse) and cleanse all the dirt that attaches to our spiritual body. 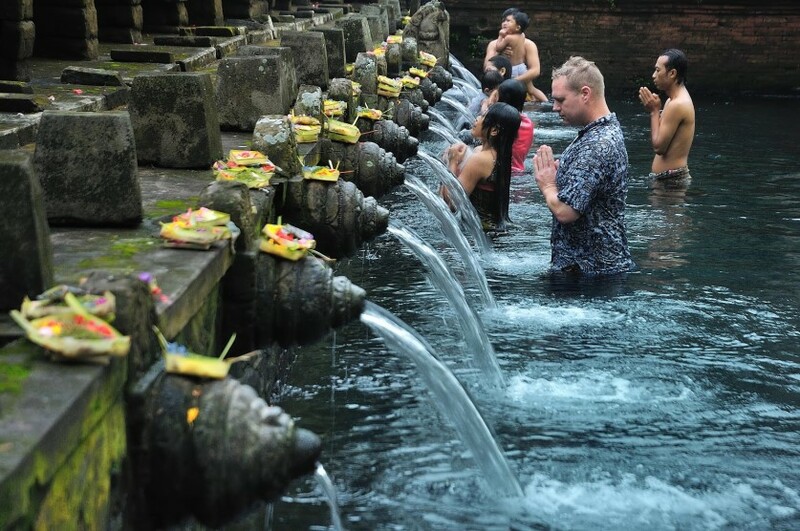 So it is not surprising, when you visit the Temple of Tirta Empul, when it coincides on the holy day such as Purnama, besides tourists, also the followers of Hindus who want to do purification at the holy baths. The location of the Tirta Empul Tampak Siring temple is in Manukaya Village, District Tampak Siring, Gianyar Regency – Bali. From Denpasar it takes around 1,5 hours drive. 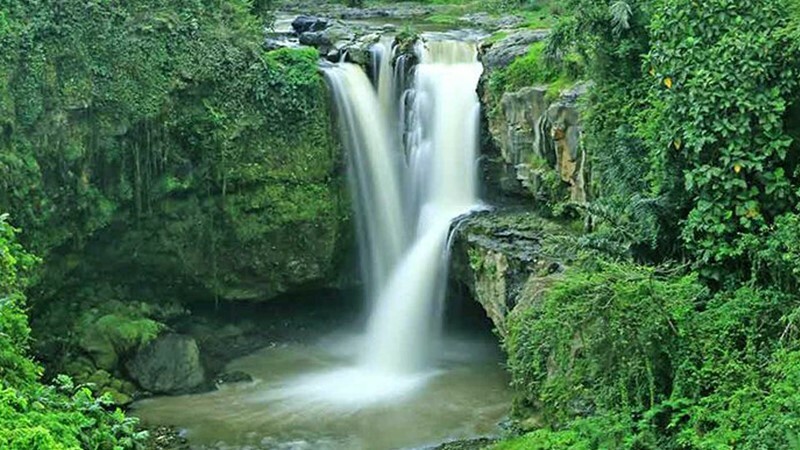 The location is quite strategic, located on the tourist route Batubulan –Ubud – Goa Gajah – Kintamani. If you want to visit this tourist attraction in Bali, you can combine your visit with Ubud or Kintamani, Barong Dance, Waterfall and many other stop. The attraction of this tourist attraction in Bali is not only because of the presence of the Tirta Empul Temple, but also the sacred bath used by Hindus to purify themselves, especially the spiritual human beings who are filled with a variety of negative auras, as we believe by bathing here, those negative power will disappear. On certain days that are considered sacred on the Balinese Hindu calendar, such as Purnama, Banyupinaruh and a number of other big days, the holy bath is filled with visitors, to fill the bathing pool to line up one by one which is organize by the Local security Temple. The sacred spring that comes out of the temple grounds and is channeled to a number of castors in this bathing pool, visitors must be willing to queue for long in the bathing pool, to get a turn to clean up on the castings in the location. The natural spring that comes out of the court of Tirta Empul temple is also a place to request holy water for ceremonial needs. Pura Tirta Empul Tampak Siring as a royal heritage that has historical value. This tourist attraction in Bali complements historical attractions, if you are interested in places like this, besides taking a tour, other alternatives can rent Bali island driver, then after Tampak Siring visit, we may take you around and see some interesting tourist spot near by. Etymologically the name of the temple Tirta Empul, comes from the word tirta or water and empul means to spurt, as a whole means the holy water that comes out spurts from the ground. Visiting Tirta Empul, on the west you can see the Tampak Siring Palace, visible valleys with beautiful gardens. Temporary Tampak Siring Palace is not open to the public, its open for Government vip visit, so tourists cannot visit there. The water that comes out of the courtyard of the temple of Tirta Empul, flows into the Pakerisan river, and watered the fields down stream, its so blessing for farmer as the water flows throughout the year, instead of that we also have tourist adventure activities that you can do along the Pakerisan river, we call River Tubing adventure. The name Tampak Siring itself comes from the words of Tampak, means: the soles of the feet and Siring, means: tilted. The word palm is related to the mythology of the king that Mayadenawa ruled at that time. King Mayadenawa himself is a powerful king, can transform his form into various forms. In his reign King Mayadenawa ruled tyrannically. Therefore the God of heaven felt concerned about the state of the kingdom like that, then sent the god of war namely Dewa Indra down to earth with the army of heaven to fight and destroy the king of Mayadenawa. Lost in the war the king ran to the middle of the forest, to remove the trail then walked with the soles of his feet, that’s the origin of the name Tampak Siring come from. 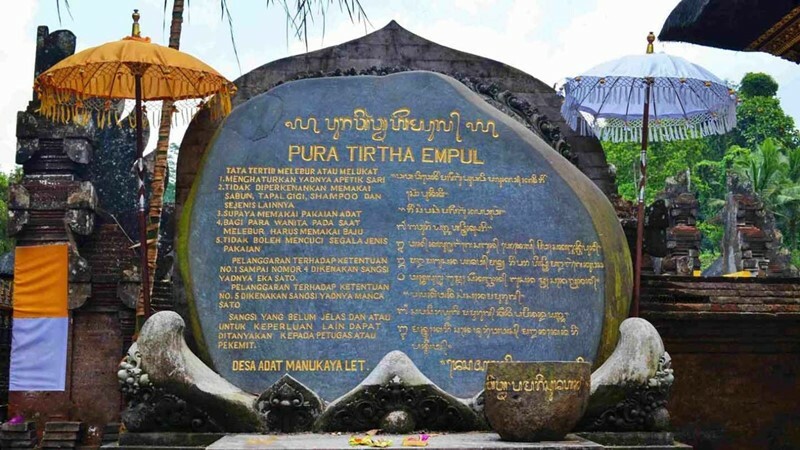 Whereas the existence of the temple of Tirta Empul, occurred because King Mayadenawa in the war tried to trick his enemy by creating a poisonous spring, with poisonous water created, troops who were thirsty to drink the water and were able to kill almost part of the forces of the God Indra who was chasing him. Knowing this with his strength, Lord Indra stuck his spear into the ground and sprayed water which was also the antidote to poisonous springs. That is why the name of the source of the spring that spurts from the ground is called Pura Tirta Empul, located at Tampak Siring. One of the sacred dance which is normally perform during the Temple or ceremony which is believe has the magic power who can protect the village from any bad spirit, as the tourism effect, we have special daily show at Batubulan village from 09.30-10.30, the dance combine with trance dagger dance which make visitors will be amazed. From Batu Bulan to Tampak Siring about 40 minutes. 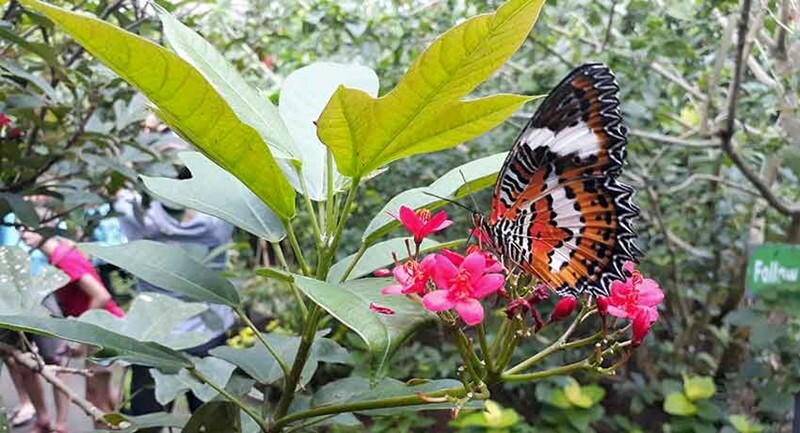 A new attraction for all tourist who visit Bali and especially Ubud, where they can visit The Butterfly park with many kind of creature and take photo with your family while visit. The park located near rice fields will add the value of the beauty of this park. 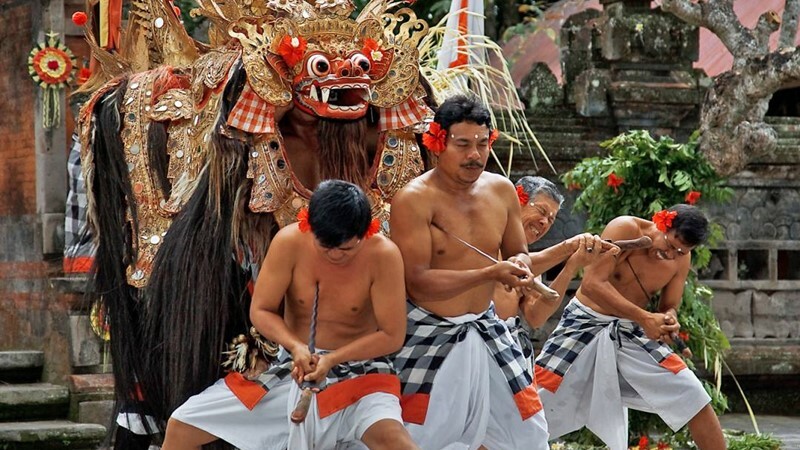 After visit Tirta Empul, you may spend the day at Ubud center with visiting Ubud Palace, Ubud Art market and also you may visit Ubud Monkey forest. Its nice walk along Ubud center and down town to find any nice souvenir to bring home as present for your family.